An Asian movie fansite dedicated to bringing you all the latest news, views, and reviews on all of your favourite movies. If you like martial arts movies and long to see an American outing that does it right for a change, then ‘Drive’ is definitely worthy of your time. 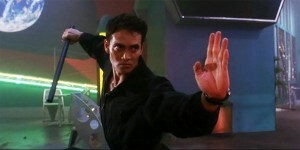 Even a few moments of magic from Cary-Hiroyuki Tagawa and Gary Daniels do little to improve the overall picture, and it has to be said that this is a sorry excuse for a ‘Tekken’ movie.